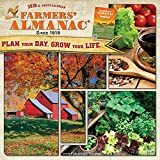 Based on the classic compendium that has been time-tested for generations, the Farmers’ Almanac Grow Your Life wall calendar contains vibrant, warm images that are great to hang on any wall. 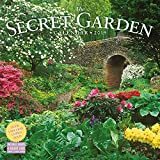 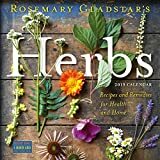 With recipes, tips, and mini articles on a variety of topics ranging from home, health, and gardening, this one-of-a-kind wall calendar makes for a great companion all year long. 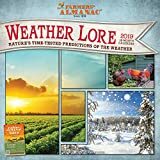 Fill your wall space with the knowledge and wisdom that is the Farmers’ Almanac. 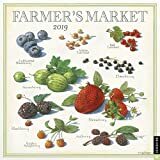 Each month of the Farmer's Market 2019 Wall Calendar features exquisitely detailed and hand-colored renderings of seasonal produce such as cherries, eggplants, and winter squash; herbs and spices, such as basil and grilling spices; or delectable artisan foods found at greenmarkets across the country, such as chocolate and holiday breads.